Home staging techniques are the tricks of the trade used by professional real estate stagers to improve client properties. 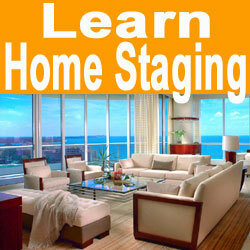 While home staging may look like decorating to some uninitiated observers, it is actually far more complex. Having studied both arts, I can tell you that although the results of staging and decorating both improve the aesthetic appeal of the property, that is about where the similarities end. This essay explains the goals of staging a property and spells out exactly how to improve the appeal of the residence to the buyers who are most likely to purchase it. Home staging is not just about making the house look nicer. Instead, it is all about real estate marketing. While decorating seeks to improve the look and feel of a home from the owner’s viewpoint and for the owner’s enjoyment, staging seeks to present an atmosphere of universal appeal, with little personalization or taste-specific features. Decorating is performed when a person is setting up a home to fulfill their own needs, while staging is used to cater to the needs of prospective buyers when trying to sell the property. To put it very simply, real estate staging seeks to declutter and de-personalize the look and feel of the property in an effort to make an emotional connection to prospective buyers. Professional home stagers have an incredible array of tools at the disposal to help prepare your residence for sale. They typically remove most of your own furniture and possessions and substitute incredibly well-planned furnishings from their own company warehouse. Some home stagers use art rental and furniture rental companies to provide an even larger selection of items to perfect the appeal of your property. DIY home staging is a compromise which works well for many home sellers, since it is more flexible and far less costly than full service staging. Of course, the trade-off is that the final aesthetic might not be as cohesive as the professionally staged house. Of course, one way around this is to hire a staging consultant to guide you in your enhancement plan, helping you to achieve a professional look without the high cost of full staging services. If you intend on hiring a home stager, you do not have to worry at all about what techniques they will use. 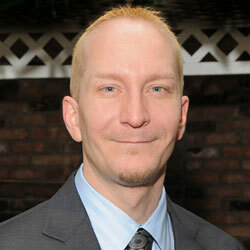 All you have to do is find the best stager for your needs and make sure you can pay them. If you are going the DIY route, then you will have to learn some of these techniques yourself. There are many great staging ideas in books, magazine articles and on television shows. Of course, the internet is also a great place to look for staging advice, as you are doing right now. If you need any help in finding the best techniques for your property, feel free to contact me at any time for some expert help.